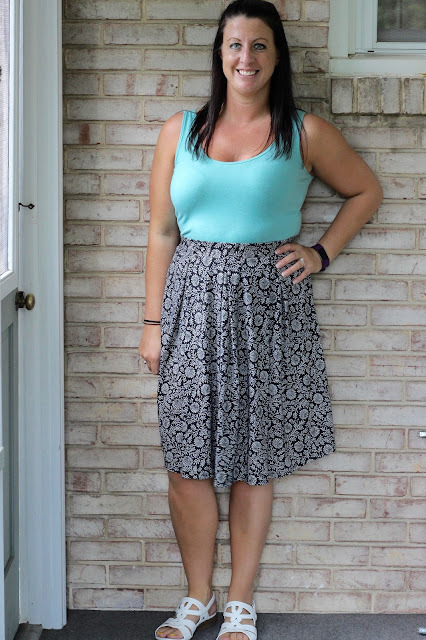 A simple Madison flowy skirt from LuLaRoe is all I need to keep me cool on the most humid of days. If I know it's going to be a crazy humid day in PA, I reach for one of these. It let's me feel the breeze when I'm outside so I don't have to worry about overheating! I love this look because all I had to do was pull it up and over a simple tank top!